90 Minute Group Classes with Individual Coaching and Analysis. Only $15-$20 per person. 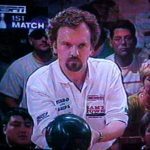 HELP NEEDED: The nice folks running the 40-frame game at the Gold Coast need scoring assistants to work the event from March thru July, 2019. Please contact Mr. Tres Smith at 734-216-7762 if interested or for more info.